Naval (pronounced “Na.VAL”) is a second class municipality in Biliran Province, Philippines. 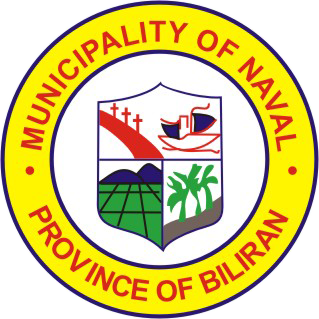 Naval is the capital town among the eight coastal component municipalities of the island province of Biliran. It has its global location at 110 33’ latitude and 124023’ longitude. Found in the Eastern Visayas Region (Region VIII) of the Philippines, and is situated adjacent to the tip northern most part of the Leyte island. 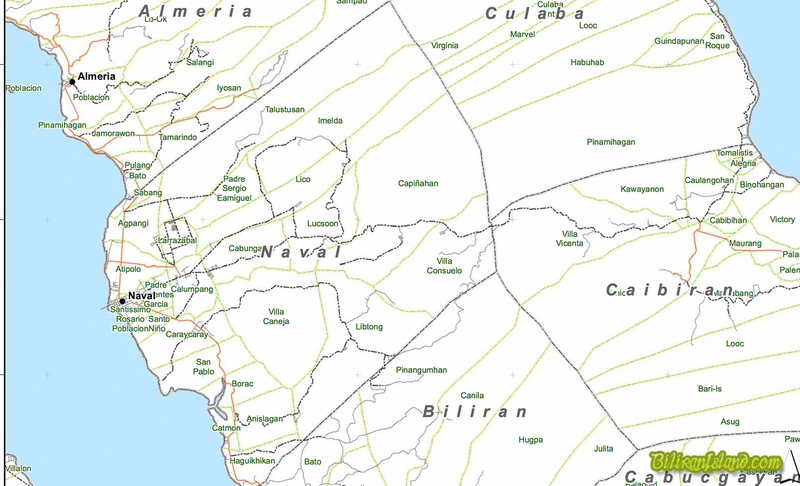 Naval is on the west coast of the Biliran island and is bounded on the north immediately by the municipality of Almeria, and Culaba at its northeast. On its east, by the municipalities of Caibiran and Cabucgayan, while down south by the municipality of Biliran. At on its west is the Biliran Strait, and adjacent is the tip northern part of Leyte and going beyond is the Visayan sea. Approximately Naval is 122 kilometers and 88 kilometers away from the cities of Tacloban and Ormoc, respectively of the mainland Leyte with travel time that only takes about an average of 2 hours through a well-paved highway. The locality has a total land area of 10,824 hectares divided into 26 political component Barangays. As of the year 2007 official census, Naval has a total population of 44,288 registering an average growth rate of about 2.8% per year. The town is pre-dominantly Roman Catholic by religion and Cebuano speaking by its dialect. Naval was last classified as a 2nd Class Municipality. And being the capital town of the province, Naval is manifestly the seat of provincial government. 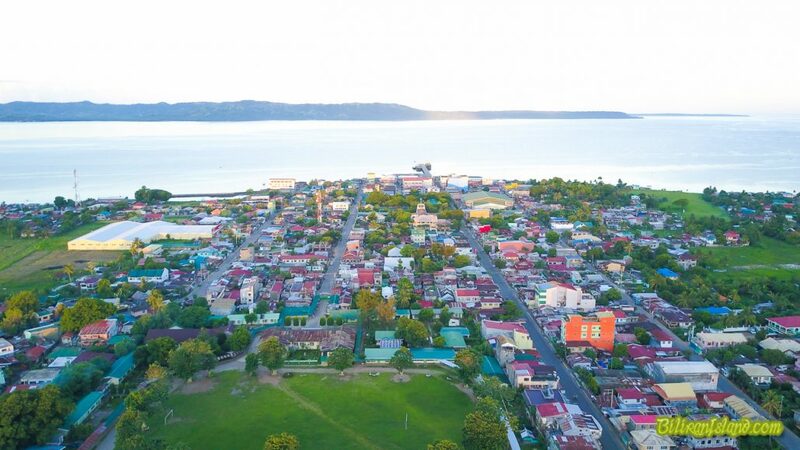 As an economic booming town, it is the center of trade and commerce of the entire island province, as well as to the neighboring proximate municipalities that are under the jurisdiction of the Leyte province. Naval is as well, the center of education being where the only tertiary school located serving for the above described area. With Catholicism having a very significant part of its local history and culture, Naval is also the center of religion as where situates the Cathedral of the Diocese of Naval that covers the entire province and some other 5 municipalities of the Leyte island. 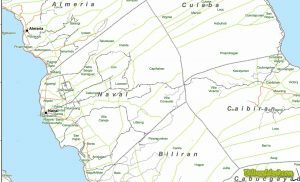 Naval has 26 barangays. Nine of these barangays are coastal (including the Poblacion) while the rest are inland. Tracing the history, the Cebuanos, coming from Danao, Cebu, were the original inhabitants of Naval believed who have migrated through the invitation of Padre Inocentes Mangco Garcia – used to pass by Naval during his trips from Biliran to Almeria, during the later half of the 18th century. Before it is modified in 1859 to a more peaceful name – presently known now as Naval, the place was already called “Bagazumbol” even before it was inhabited. It was named by Samareno folks which means somewhat pointed. 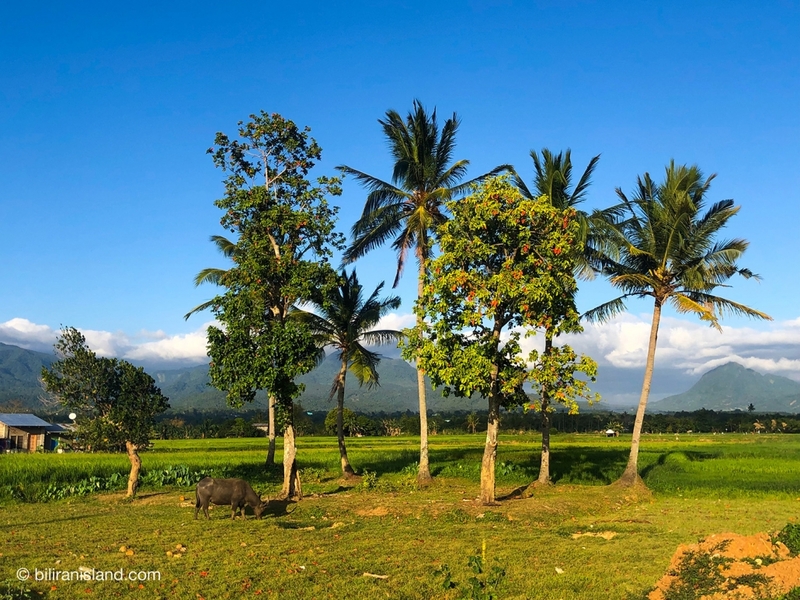 According to old folklore, the late Padre Garcia would always say he is heading for a place beyond “Bagazumbol” as he traveled from Biliran to Almeria. Following next to Cebuanos were settlers coming from Bohol, Panay and Negros. Due to diverse inhabitants, the land was divided among the Cebuanos, Boholanos, and the Ilongos. Cebuanos settled the land south stretching towards Caraycaray. Just beyond the canal at Calumpang stretching to the mountain was occupied by the Boholanos. While Ilongos settled on the north, towards the Anas River. On September 26, 1869, Naval was officially established and recognized as an independent pueblo (town). Based on the Rainfall Data collected at the observatory in the Biliran National Agricultural College (BNAC) of Biliran, Biliran as a joint venture of the PAGASA in Tacloban, the town of Naval or the Biliran province in general, has the rainfall very much pronounced to the month of September. This month seems to be the “rainiest” having maximum average of 336.6 millimeters precipitation. While the minimum precipitation falls in the month of April having an average of 74.3 millimeter which turns out to be true being the “driest” month of the local summer season. The municipal climate is healthful and invigorating having an average temperature of 27 degrees centigrade. The municipality is characterized as relatively plain coastal lowland where human habitation is concentrated. Rolling hills dominate the eastern part of the town. High mountains in the municipality are Campoding and Sayaw elevated above sea level at 437 meters and 900 meters, respectively. Three other mountains locally called Mount Naliwatan, an unnamed mount and Mount Gumansan have elevations of 1,340, 1,105 and 1,045 meters, respectively above sea level, and these are in common boundary location with Caibiran and Culaba. Naval provides a normal terrain such that drainage is towards the sea through the various creeks and rivers which do not permit water clogged areas, except the swampy areas along the coast south of the poblacion. The locality has two main rivers namely; Anas and Caraycaray that engulfed the poblacion and its proximate barangays. Naval also has a component remote island called Higatangan about 15 kilometers away off-coast of the mainland that comprised the two barangays of Libertad and Mabini. In the western part of Naval including some portions of the island of Higatangan is under Class 1 having an area of about 15.16 hectares, this represents about 14.04% of the total land area of Naval. Going inland and the remaining portion of Higatangan Island, are combinations of slope class 2, 3, 4 and 5 which comprises about 43.63% of the total land area. This will indicate the agricultural orientation of the municipality whose land reserves and potentials are wide and vast. While the rest of the municipality is within the slope class 6 and 7, classified as 18% and above slope, this covers about 42.33% of the total land area of Naval. 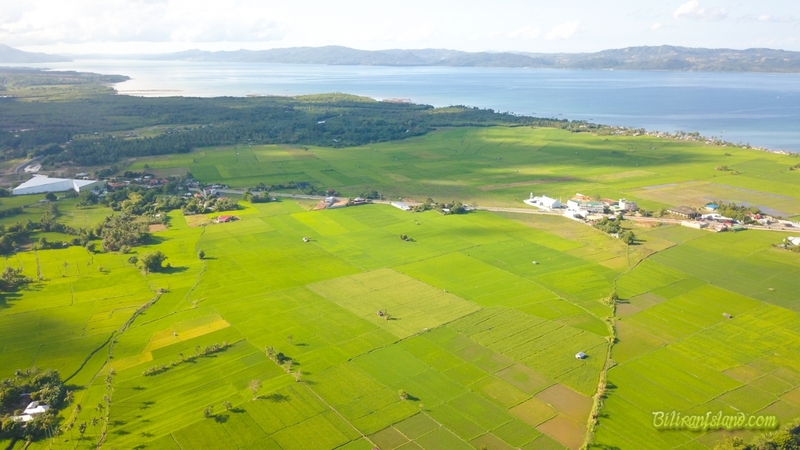 4 (8-15%) 1,256 11.61 Gently sloping Intensive agriculture but with carefully planned erosion control measures. 6 (18-50%) 3,755 34.69 Strongly sloping Best suited for pasture. 7 (>50%) 827 7.64 Strongly rolling Best suited for forest.